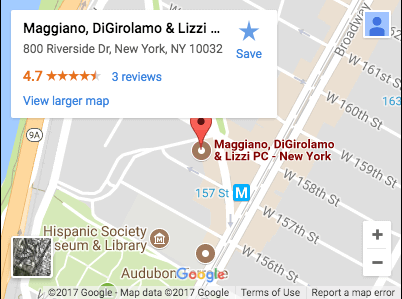 Other Injury Caes in New Jersey | Maggiano, DiGirolamo & Lizzi P.C. More than 11,000 train accidents occur in the U.S. each year. Whether these accidents involve derailments, collisions with motor vehicles or accidents with pedestrians, train accidents often have catastrophic, if not deadly, outcomes. In many cases, these accidents are caused by the negligence of train operators, train companies or others. Participating in recreational activities and sports can be fun ways to exercise, socialize and relieve stress. Unfortunately, these activities are not always safe, especially when they involve physical contact, faulty equipment and/or young children. In the most serious cases, recreational & sports accidents can cause traumatic brain injury and other severe injuries. Property owners and managers generally have a duty to maintain safe premises and warn visitors of any dangers present at their properties. All too often, however, these parties fail to live up to this duty, exposing people to risky premises that can cause serious accidents, like falling accidents, elevator accidents and swimming pool accidents. About every 8 minutes in the U.S., a pedestrian is hurt in a car crash. About every 2 hour, a pedestrian is killed in a traffic collision. Often, these pedestrian accidents are caused by distracted, drunk or otherwise negligent motorists. When they are, the victims will have legal options for seeking financial recovery for their injuries, suffering and losses. Every year in the U.S., at least 700 people are killed – and many more are injured – in bicycle accidents. Commonly, these crashes are caused by some form of negligence, like reckless driving and/or unsafe road conditions. After a bicycle accident, we can help you identify all forms of negligence that contributed to your wreck, helping you maximize your recovery. While subways provide invaluable transportation services, they may not be as safe the public expects. This is especially true when operators are untrained or negligent or when subway trains or tracks are not properly maintained. When any form of negligence causes subway accidents and injuries, we can build you a strong claim and position it for the best outcome. When responding to emergencies, police officers, firefighters and other municipal employees may speed, run red lights or otherwise fail to comply with traffic laws. Nevertheless, they are required to drive as carefully as possible and avoid endangering the public. When they fail to honor this duty, they can be liable for the injuries, harm and losses they cause. While snowplows offer an important safety service by clearing snow from the roads, these vehicles can also present risks to the driving public – particularly if drivers are impaired, distracted or merely careless. When any form of negligence causes a snowplow accident, the driver, a private contractor and/or a municipality can be liable for the resulting damage. RVs, campers and other recreational vehicles are some of the largest, heaviest passenger vehicles on the roads. When these vehicles are involved in wrecks, the outcomes can be catastrophic, even if the RV was traveling at a relatively slow speed. When RV wrecks are caused by a negligent driver (or other party), we can help you seek the compensation you deserve. Whistleblowers are individuals who have the courage to shed light on others’ fraudulent actions against the U.S. government. Whether you have evidence of false certifications, delivery of defective goods or breach of a government contract, we can help you build a strong False Claims Act case and successfully navigate the complexities of the road ahead.